As a child, it’s been more than once that I’ve woken up in a hot sweat after having just had an erratic, anime-fueled super dream. This is a common preteen boy problem only exasperated by Power Rangers, puberty, and Michael Bay films. Even then, never in my wildest (emphasis on “wildest”) dreams did I ever imagine anything the caliber of what Pacific Rim delivered. The world is under attack again. Not by terrorists, zombies or demons, but by giant monsters coming from a rift in the Pacific Ocean. In order to fight these monsters, named Kaiju (Japanese for “giant monster”), the human race created giant machines called Jaegers (German for “hunters”). They require 2 people to work the neural interface needed to control these behemoths. While they are both connected to the machine physically, they also have a connection inside each others minds. That is why pilots need to have some sort of bond to make the drifting process smoother. That came easy for the brothers Raleigh (Charles Hunnam) and Yancy (Diego Klattenhoff), until they faced a Kaiju they couldn’t handle. 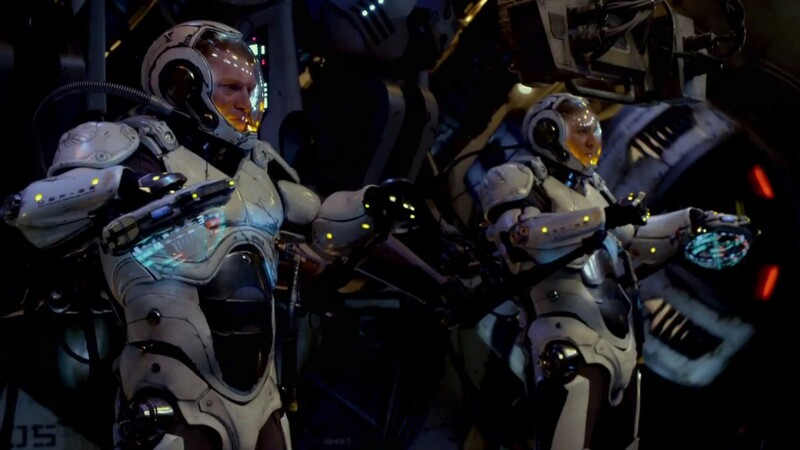 During the battle, Raleigh loses his brother and manages to operate the jaeger by himself, but that would be the last time he gets into one… or so he thinks. Several years later and the world has only gotten worse after the kaiju keep adapting to the force of the jaegers. Stacker Pentecost (Idris Elba), head of the jaeger program, tracks down Raleigh to bring him back to pilot his old, recently rebuilt jaeger. Having been recently cut off from government funding, the jaeger program only has 4 working mechs and only one shot in trying to close the portal, but they need Raleigh’s skill and experience to do it. Still traumatized from his brother’s death, Raleigh is hesitant to assist until he sees who his partner will be, Mako Mori (Rinko Kikuchi). On their first test run in the jaeger, they nearly obliterate the base, but while they are mentally linked, we see how Mako’s family was killed and how Stacker became her surrogate father. Meanwhile in the lab, we meet Dr. Newton Geizler (Charlie Day) and Dr. Hermann Gottlieb (Burn Gorman), both working in their own way to figure out a way to end the onslaught of kaiju that come from the rift in the sea. Dr. Gottlieb has estimated that the increase in frequency will only get worse, and at the same time there will be a double kaiju attack in the very near future. Dr. Geizler, on the other hand, is more interested in finding out why they attack rather than when. He uses a fragment of a live kaiju brain and links with it much like the jaeger pilots link with each other. What he learns only makes matters worse and may derail their plans altogether. With only 4 jaegers and a group of unlikely allies, such as crime lord Hannibal Chau (Ron Perlman), will they have enough to defeat the upcoming assault? To say Pacific Rim pays homage to the classic monster movies of yester-year would be like asking if a giant lizard-dinosaur ever cinematically attacked the citizens of highly populated Japanese city. Of course it pays homage, but more than that is creates its own mythology that is really easy to digest (much like humans are to Godzilla). This film is not without its flaws like plot holes, copious amounts of camp, yadda yadda yadda. I don’t know about you, but for those of you who are going/went to see this, you did notice that the entire premise is giant robots fighting giant monsters, right? Trying to question the logic of this film is like trying to count down to the last decimals of pi; you would be an idiot to try to do it and you would be wasting your time. This isn’t the first time at the rodeo for director Guillermo del Toro. 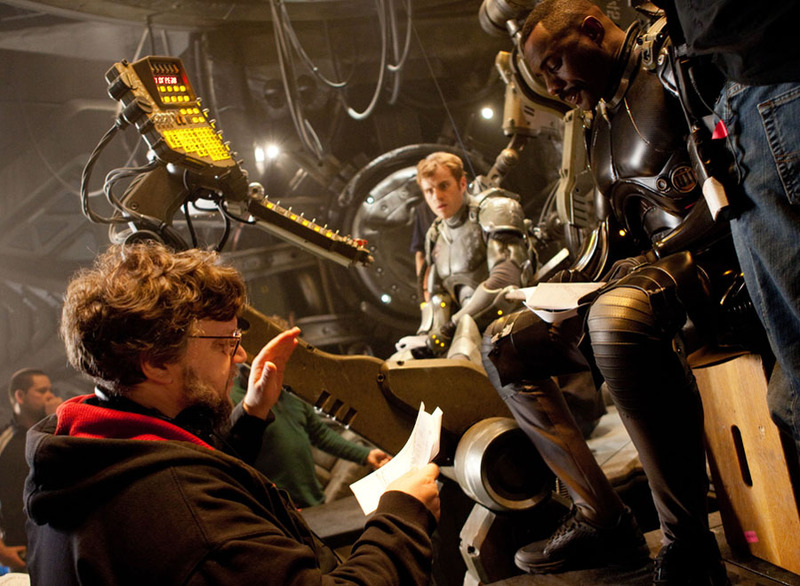 He has directed fairly successful action films such as Blade II and the Hellboy series. This may explain to many of you why this film, at times, felt like an adaptation of a comic book, especially since his previous action film experience came from comic book-based universes. This was of course not a bad thing. If anything, the recent Superman film, Man of Steel, could have used an infusion of the charm and soul that comes with comic book to film adaptations. One of the things that did not need any work were the visual effects. Del Toro has always had a great flair for the fantastical and has shown us how easy he can bring it to life on film with movies like Pan’s Labyrinth and Hellboy 2: The Golden Army. The 3D in this film is proof positive that 3D can actually be an asset in a film when used correctly. I can, for the very first time, say that it is worth spending the extra money to see this in 3D. 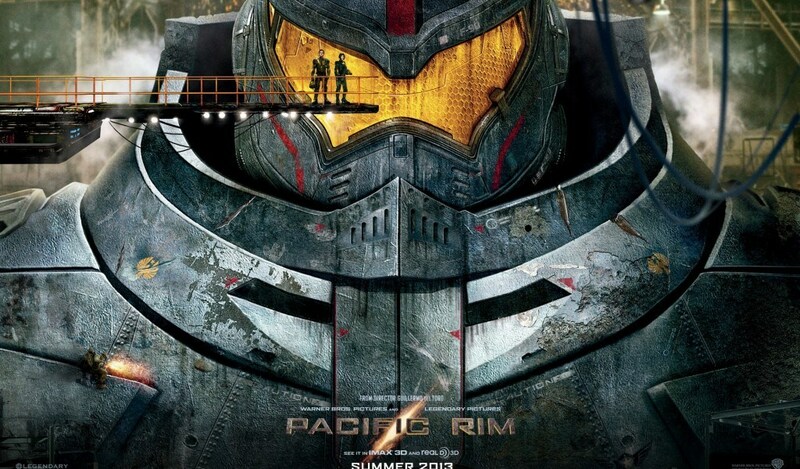 There is more to Pacific Rim than just a film, it’s a roller coaster ride. Sure there are some bumps on the way up but once the ride really gets going, you’ll be happy you were on it. Guillermo del Toro has given us something that we would never have thought would work outside of an anime or comic book, and delivered it in a way that leaves us pleased and maybe even hoping for a sequel.